ithout affecting the skin’s surface. There is no recovery time following treatment, so you can resume your daily activities immediately. Most patients need multiple treatments to achieve optimal results. 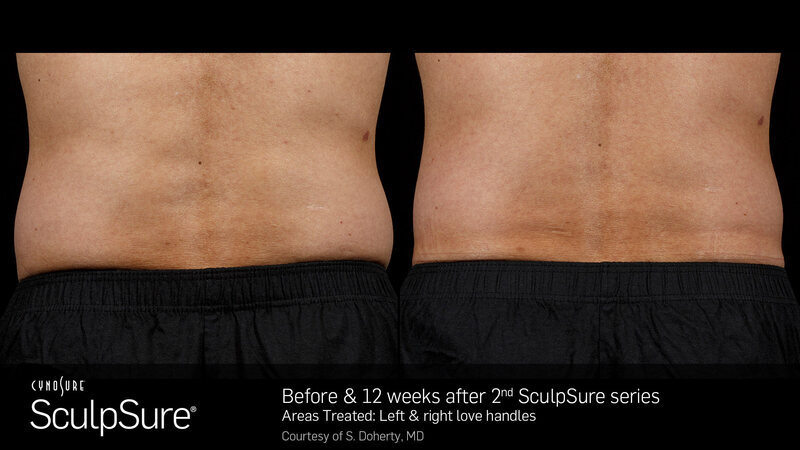 SculpSure is a non-invasive body contouring system for the reduction of stubborn fat. Each 25 minute procedure can destroy up to 24%1 of treated fat cells without surgery. 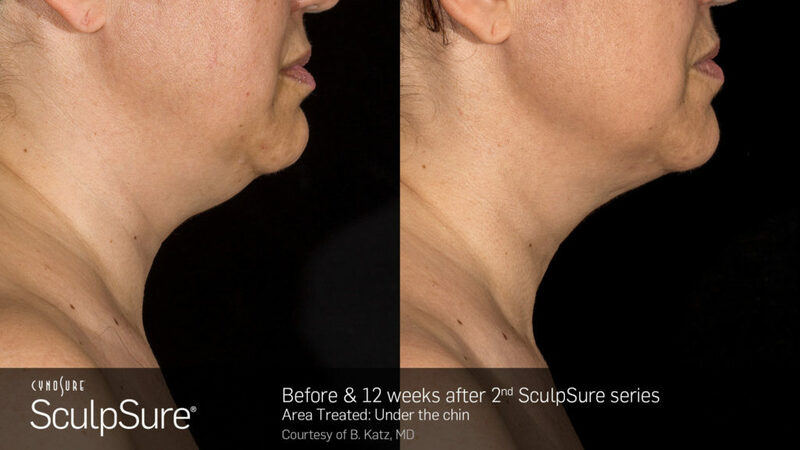 2What areas can be treated with SculpSure? 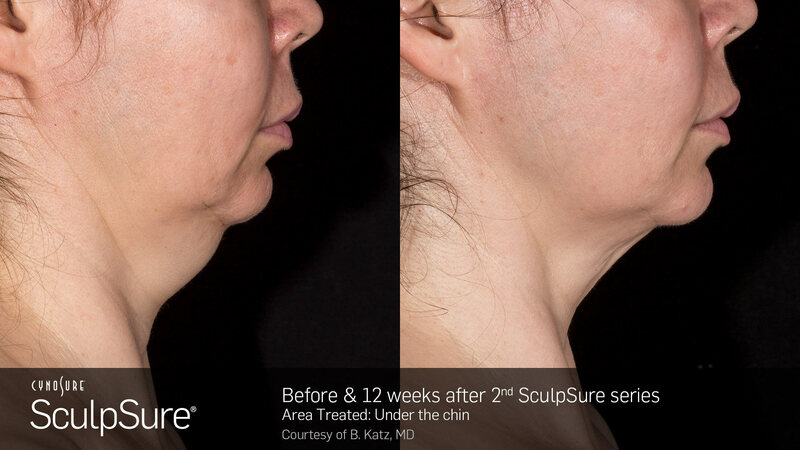 SculpSure is FDA-cleared to reduce stubborn fat in the belly, love handles, back, thighs, and now under the chin. 3Is SculpSure right for me? Every patient is different. Most people see the best results when they receive a series of treatments. Ask your SculpSure provider about the treatment plan that is right for you. 5What should I expect during the treatment? 6When will I see results? 7How long will results last? 8How long before I can resume normal activities? 9What is the difference between fat loss and weight loss? The number of fat cells stored in our bodies typically remains constant throughout adult life. As we lose weight, the size of fat cells become smaller, but do not decrease in number. Even with diet and exercise, many people have difficulty losing weight in these trouble areas. After the SculpSure treatment, the fat cells are permanently destroyed and will not return.